Australia's reputation for democracy, little pollution, and high quality of life attracts over 130,000 migrants each year. Companies advertise about 150,000 jobs weekly in search of skilled workers. Australia’s fertility rate has fallen to a 10-year low in 2015 to 1.8 children per woman. To make up for its ageing population, the Australian government is actively welcoming skilled and sponsored migration to keep its workforce competitive. Therefore, making a living is hardly a problem for expats planning on moving there. Presently, the expatriate population in Australia is composed of 4,711,490 people, and about 89.3% of the population are of European descent with only 2.3% of the population of indigenous or Aboriginal descent. Australia is the sixth largest country in the world with a land area of about 7.6 million square kilometres. It is a land of contrasts - from harsh deserts to vast grazing lands, tropical rainforests to modern cities, and beautiful golden beaches and exotic coral reefs to mountain ranges. Despite the vast land area, it has a small population, estimated to be about 23,833, 174 people. Australia has the lowest population density in the world, thus providing the luxury of ample space, especially in residential areas. Most civic amenities are easily accessible. According to research carried out by a leading company, Mercer, which surveyed 215 cities, "Sydney, Melbourne, Perth, Adelaide and Brisbane all feature within the top 25, ahead of cities like San Francisco, Paris, London and Montreal for all-around health, safety and good times." 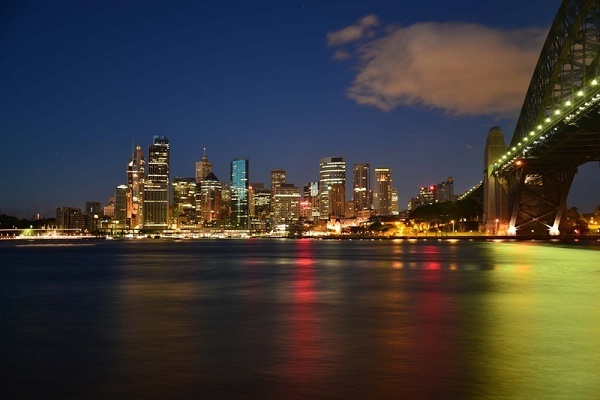 These are the most vibrant and renowned cities of Australia. Literary, music and theatre buffs will relish the wealth of related museums, events and festivals available in Melbourne. As for Sydney, the first thing that almost always comes to mind is its performing arts centre, Sydney Opera House. The building has a rich heritage and it houses several plays weekly. It has the best view of the world’s largest coral reef, the Great Barrier Reef. Need we say more? Check out the Movie World, where children and adults alike will be delighted to meet their favourite Marvel comic book superheroes such as Batman, Robin, Wonder Woman, the Green Lantern and Superman. The famous Surfers Paradise Beach lives up to its name and is a must-visit for all water sports enthusiasts. Pay a visit to the hopping mammals and koalas at Adelaide’s Kangaroo Island or even better, get a selfie with the quokkas at Rottnest Island near Perth! Nicknamed the “world’s happiest animal”, the quokkas’ beady eyes and smiling faces are bound to melt your hearts. Expats who want to expose their children to the wonders of nature can also bring them to Kings Park & Botanic Garden in Perth. According to the recent research conducted by the United Nations that assessed countries worldwide based on their education, life expectancy and economic data, Australia ranked as the 2nd most liveable places on earth. Its marvellous landscapes, moderate weather and robust economy are some top reasons why waves of foreign nationals choose to start a new chapter of their lives in this country. 1. They are huge fans of all sports. Soccer, cricket, rugby, horseracing – you name it, and they are into it. It is not surprising to hear the locals about recent matches or hang out at a pub to watch sports telecast together. Do take note that in Australia, football or footy, comes in different forms and may not necessarily refer to soccer. 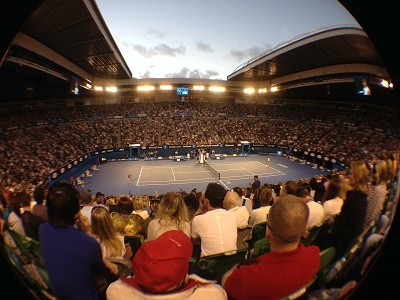 One of the much-anticipated events in the country is the Australian Open, a tennis tournament held annually in Melbourne every January. It is the opening season of the prestigious four-part Grand Slam which includes the French, Wimbledon and United States Open. The Australians also lead active, healthy lifestyles themselves. According to a survey conducted, 60% of those aged 15 years and above had participated in a sport or physical recreation at least once in 2013–14. 2. It has a climate for everyone. Each part of the country experiences a different type of weather. The northern area has a tropical weather characterised by dry season with average rainfall while the southern states have wet and cool weather. 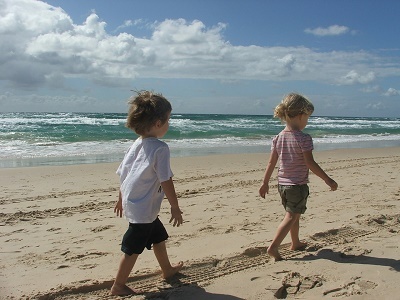 Contrary to the seasons in Northern Hemisphere, Australia’s summers occur between the months of November and February while winter happens from June to August. Now you know where to go for a warm Christmas! Expats who are on their way here should consider the weather in their chosen destination in Australia to avoid packing unnecessary clothes. For instance, those heading to Queensland should bring lightweight clothes to stay cool amidst the heat while expats going to New South Wales can bring thick garments that will guard them against the cold weather and rain. 3. There’re lots of fresh produce and poultry to tuck into. Historically speaking, the Australian cuisine has strong Irish and British influences where both are traditionally inclined to agricultural products such as wheat, sheep and cattle. Their meat patties and pies are mouth-watering classics. For desserts, try the country’s “national cake”, lamingtons! You won’t regret it. The locals are also fond of purchasing organic ingredients from one of the many farmer’s markets are scattered across the country. Some things to get from their supermarkets include Weet-Bix high-fibre biscuits, macadamia nuts, chocolate-coated Tim Tams and well, vegemite! Every now and then, some locals will have the ‘bush-tucker’ (hunter-gatherer) diet, which was originated around 60,000 years ago. Basically, they will eat whatever they find raw and au-naturel. It’s not for the faint-hearted – one of the foods they are proud of is this nutty-tasting grub that lives on wood. 4. The country takes a day off for fun and laughter. Another important event for the Aussies is the Australian Day which occurs on the 26th of January. It is a yearly celebration where everyone in the country takes the day off to dine, visit the beach or have fun with family and friends. Awarding ceremonies and flag raising in Canberra are also part of the activities on this national holiday. 5. You’ll be besties with the locals in no time. Australians can be very jovial, casual and informal. Locals like to talk with a touch of humour and greet passers-by with “how are you doing, mate?”. They are also known to be down-to-earth and keep a low profile. It is polite to bring something small over if you are invited to someone’s house such as wines or chocolates. 6. Indulge in chocolates, new world wines and ciders. Australia is not only the fourth largest exporter of wines, but it has over a hundred cider brands and dozens of chocolate factories! Here are the best ciders and places to get your chocolates. For a quick fix at the nearest convenience store, go for Australia’s oldest chocolate bar – first sold in 1924 – Cherry Ripe. 7. Enjoy work-life balance AND attractive minimum wage. Australia is one of the first to implement a 40-hour work week and reports have shown that work hours have been falling in reality. While it is not as extreme as the Netherlands, we would say the work environment is still a great bargain considering that the minimum wage in Australia is AU$17.70 (US$13.30) per hour! Believe us when we say that Australia, as the world’s third largest ocean territory, has no lack of beautiful, white-sand beaches but take caution – it also has one of the highest rates of skin cancer. A short time under direct sun in Australia can lead to nasty burns. Application of sun-block, sun-tanning or UV protection lotion is a must. When relocating abroad, especially for first-timers, it is best to hire the help of professional moving companies. 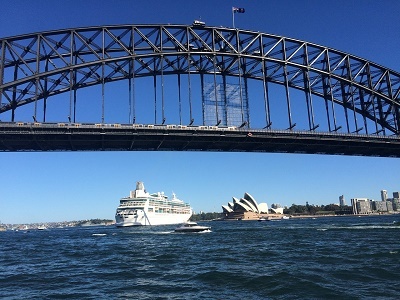 There are several international movers that service expats who are about to go to Australia. They offer door to door service where their people will take care of the whole moving process from packing, shipping, to the unloading of the packages in the delivery address. It normally takes a month for the containers to arrive in the Port of Adelaide where local customs officers will inspect the cargos before they get cleared for distribution. Car shipping to Australia may not be a good idea, as there are a high amount of tax and duties required for their entry. When bringing cigarettes or alcohol, expect to receive heavy taxes as well. All products are inspected before entry, but personal goods will be allowed duty-free provided commercial intent is ruled out. In many cases, one may be required to get a permit such as the Unaccompanied Personal Effects Statement for specific items, such as household and personal items. Expats will need to take note that unaccompanied personal effects do not include items purchased via the internet, or motor vehicles, commercial goods and motor vehicle parts.